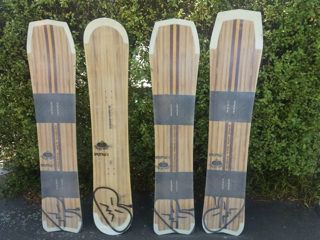 Hamish and Sam of The Angry Pumpkin Snowboards use paulownia as a key component in the custom snowboards they build. They combine paulownia with other timbers, such as bamboo, with the aim of building high quality boards which are extremely durable. 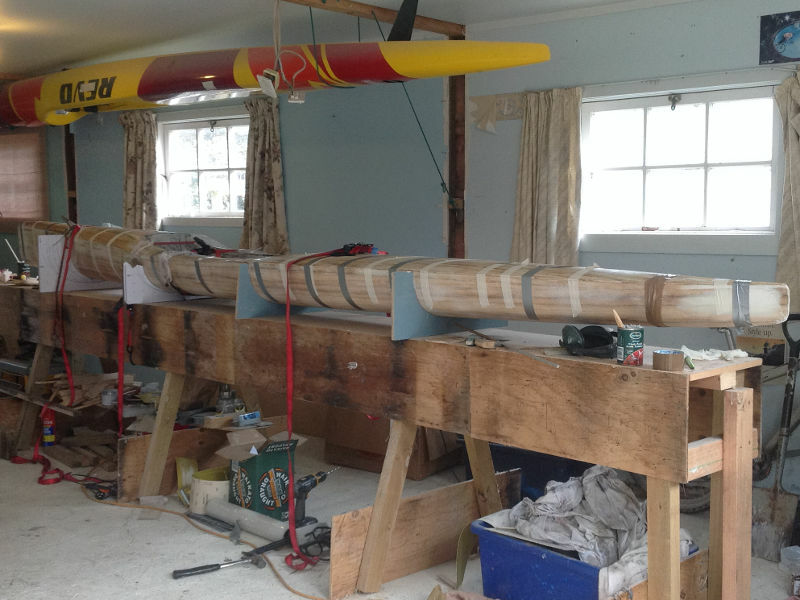 Robert Russell bought several metres of paulownia timber from us just over a year ago, intending to make a small trimaran. But his plans changed and he ended up building a set of surf skis instead. 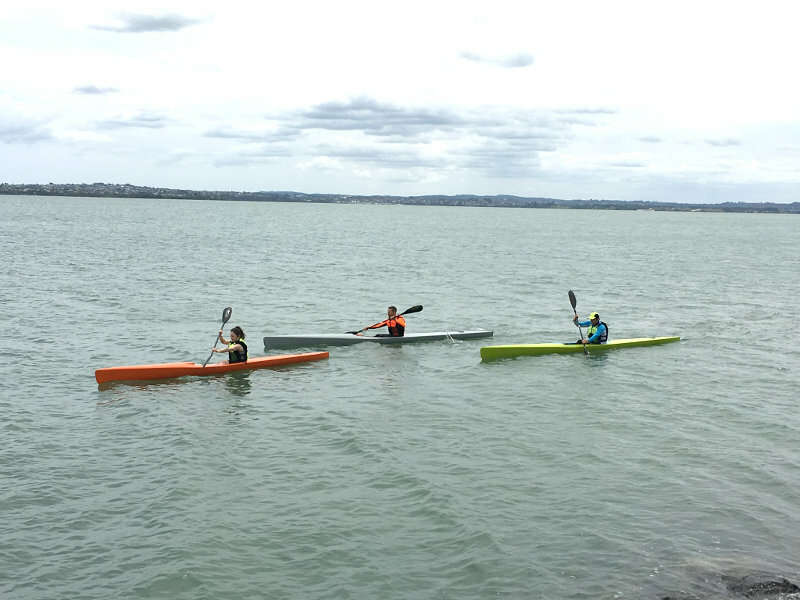 Robert used a design from a Swedish kayak designer named Bjorn Thomasson, adapting the plans to suit the owner’s size and body weight. He used 4.5mm thick by 23mm wide paulownia planks for the hull and decks, laying them up over temporary ply frames. The cockpits were constructed out of carbon. 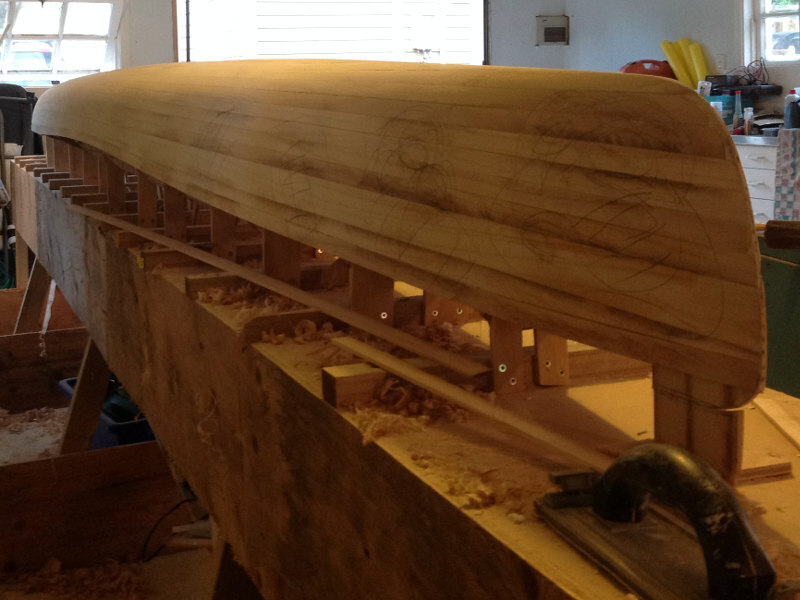 After the hull was planked and faired, a 4oz glass cloth was laid on both sides. One thing Robert noticed about paulownia is that it has a tendency to move with changes in atmospheric humidity and temperature. So once one side was glassed, he needed to move fast to complete the other side. Robert says the finished skis came out as some of the lightest wooden surf skis most builders had heard of, with the orange one weighing in at just 11.5kgs. Paulownia NZ recently sent timber to the Singapore National Gallery. 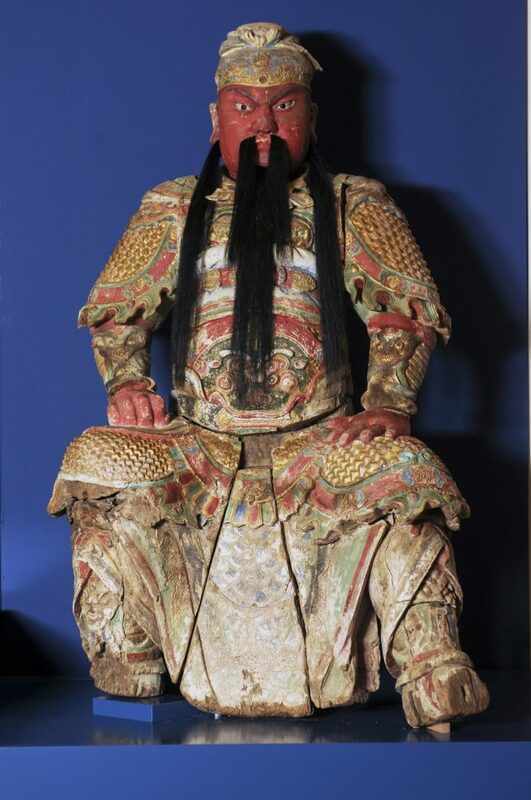 The wood was used to repair Guangong (pictured above), a wooden sculpture from the Ming Dynasty in Shaanxi Province. The joinery of the legs was missing and several small additions were needed. The gallery carried out a microscopic wood ID to add the missing parts with the same wood species. It is now installed at the Asian Civilisation Museum in Singapore. High quality paulownia timber grown and milled in the Waikato, New Zealand.